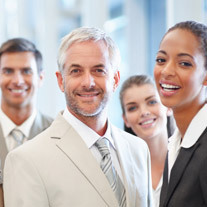 The American Purchasing Society's Career Center is intended to assist prospective employees connect with employers for careers in procurement, purchasing, and buying. We have developed this service to be simple to use for both job hunters and employers. This service is meant to offer various purchasing positions to help make the career and employee search seamless for all parties involved. Job hunters can easily send their resume to employer job postings with a single click of a button! On the same note, employers will be able to review your resume only if you have made it public. Otherwise, nobody will see it unless you send it yourself! Buyers job resources are available to you FREE, courtesy of the American Purchasing Society. Employers may post procurement and purchasing related jobs to this website. In addition to posting job opportunities, employers can also browse through any publicly available procurement resumes. This is made available to you courtesy of the American Purchasing Society.